While speaking at the celebration of World No Tobacco Day 2018, the Minister of Health, Prof. Isaac Adewole, on Monday in Abuja, said that the Federal Government banned the use of flavored tobacco, especially Shisha, in public places and ordered the Security agencies arrest someone found by inhaling the substance. According to New Telegraph, the minister who spoke during the event with the theme "Tobacco breaks the heart chooses health, not tobacco", explained that the evidence has shown that for every profit of $ 1 of the tobacco business, $ 3 was spent on medical care costs. Concerned about the growing rate of tobacco-related deaths in the country and the world in general, the minister developed and launched a work plan on the National Tobacco Control Law, which could be implemented by interested parties before the approval of the NTC Regulations, to stop the use of tobacco products in the country. "The work plan describes the education, compliance and monitoring of compliance, including the prohibition of the sale of tobacco products to anyone under 18 years of age, prohibiting the advertising, promotion and sponsorship of tobacco of any kind; prohibition of smoking in public places, and prohibit the sale of tobacco products in fragmentary quantities, but in packages of 20 cigarettes or 30 g for smokeless tobacco. "The FMOH is also looking beyond the work plan as we are developing a 5-year National Strategic Tobacco Control Plan that will provide the roadmap for total tobacco control." In addition, FMOH actively participated in the review of the Nigeria Industrial Standard for Tobacco Products convened by the Nigerian Standards Organization in collaboration with the Consumer Protection Council (CPC). "A key outcome of this review was the banning of all characteristic flavors, including the addition of menthol in tobacco products, which is to protect our children from being attracted to flavored tobacco products. 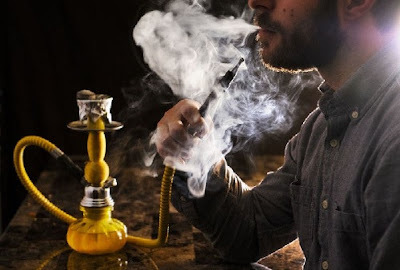 The prohibition of tobacco products with characteristic flavors is still in force and the prohibition includes shisha because it has flavor, so I urge the CPC and the law enforcement agencies to intensify the arrest of the defaulters, "he said. According to him, there were more than one billion smokers around the world and tobacco killed more than 7 million people annually. Of this number, he said that more than 6 million die from direct tobacco consumption, and about 900,000 die from exposure to secondhand smoke. "The 2014 WHO - World NCD Status Report data showed that heart-related diseases, cancers, diabetes and chronic respiratory diseases killed 38 million (68%) of the 56 deaths worldwide in 2012, and sadly, more than 40% of these deaths occurred before the age of 70. In general, it was agreed that tobacco will kill more than 50% of its users when it is used exactly as recommended by its manufacturers. "Worldwide, there are more than one billion smokers and tobacco kills more than 7 million people annually, of which more than 6 million die from direct consumption of tobacco, and nearly 900,000 from exposure to secondhand smoke. I should add that low and middle income countries, including Nigeria, bear almost 80% of the global burden. "In fact, this requires a greater awareness of the impact of tobacco consumption and exposure to secondhand tobacconpro in cardiovascular health," he added. Adewole, who exposed the plans of tobacco companies to hide under the guise of non-governmental organizations in a smoke-free world to partner with the public to project their business, advised Nigerians to be careful in establishing partnerships of which They were not sure. .
"Let me inform you that we do not ignore the tobacco industry's conscious efforts to project their business ahead of public health, and in view of this, we are obliged to protect the Government's Laws, Regulations and Policies from commercial interests and other vested interests. tobacco industry in accordance with Article 5.3 of the WHO FCTC and the 2015 NTC Law. Recently, Philip Morris International (PMI) under the guise of the "Foundation for a smoke-free world" is persuading the public to partner with the Foundation.